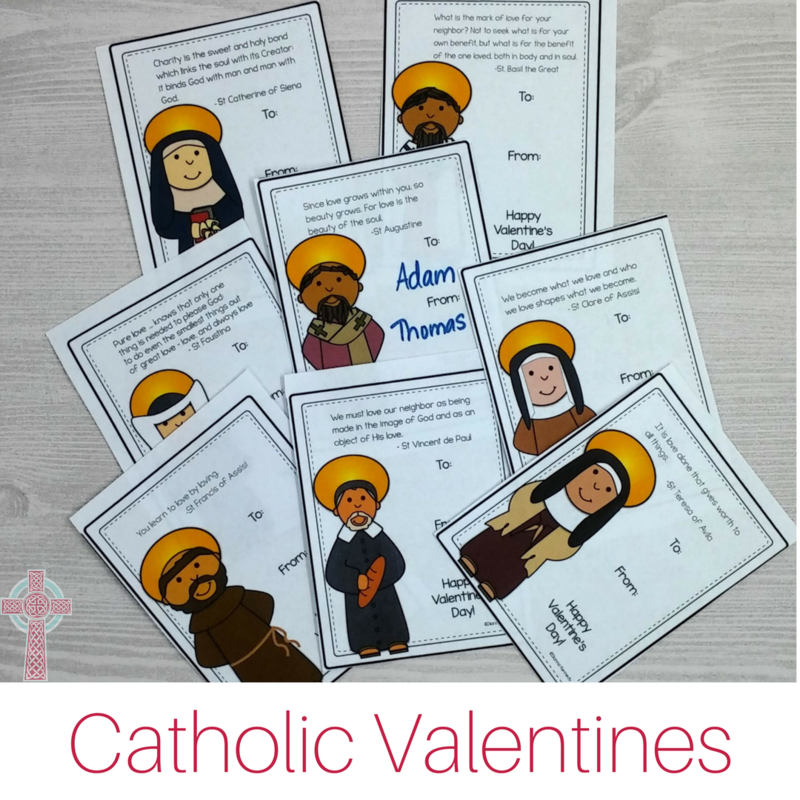 These printable Catholic Valentines are perfect for homeschooling families, Catholic school teachers, religious education teachers and more. Hand these out to your friends! 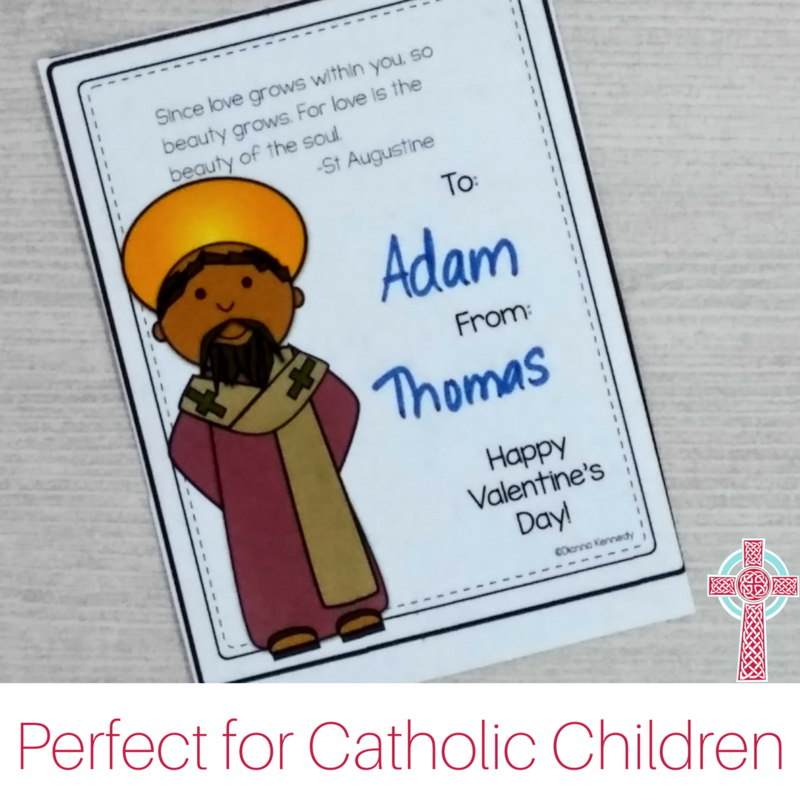 As a Catholic homeschooling family, we love to celebrate Saint Valentine with special treats, activities and reading lots of books. Every year, my children’s favorite activity is giving Valentine cards to their friends and family. We gather at the table and work on our Valentines together, even Baby Daniel. The weather is usually pretty dreary, and we’re getting cabin fever, so working on gifts for others brightens our days. 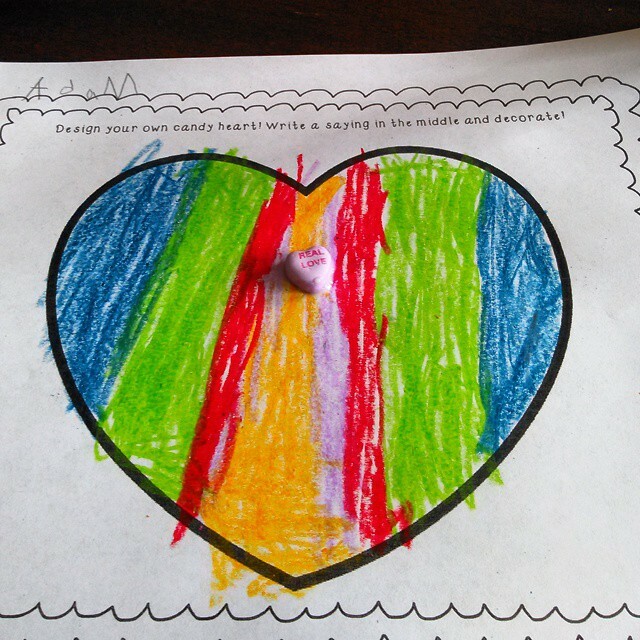 This year, our kids decided that they wanted to spread the message of Saint Valentine a little differently, by sharing their Catholic faith. 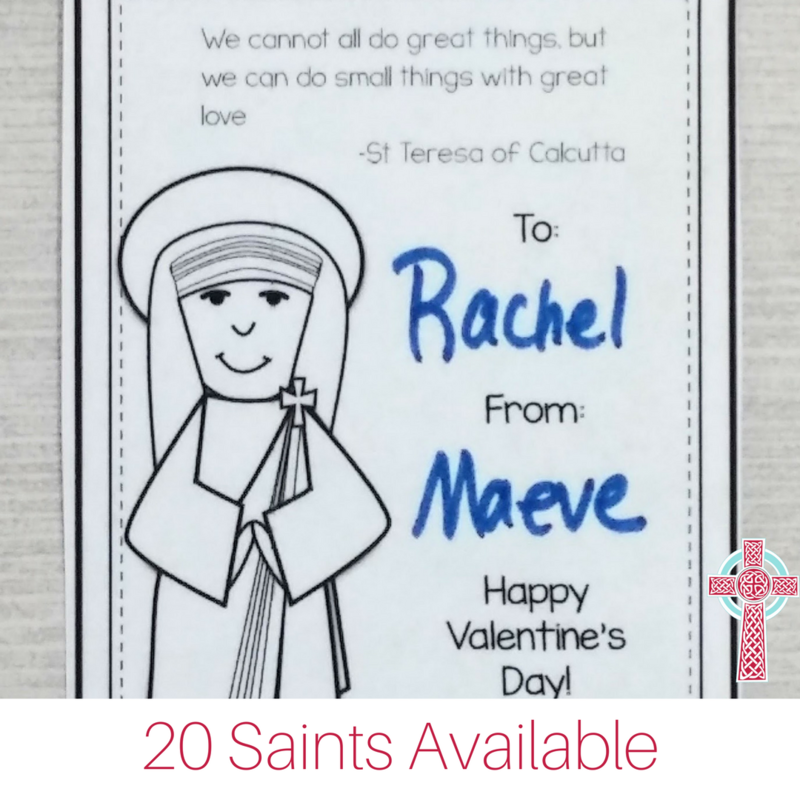 I created these Catholic Valentines — printable Valentine cards, each depicting a saint with a quote about love. The children have so much fun reading through the Catholic quotes and looking for their favorite saint. They know that they’re blessing their friends, neighbors, teachers and each other with these Christian Valentines. However, my children prefer the black and white cards. They enjoy coloring in the saints while we read our favorite Valentine’s Day books. Another ink saver idea? Print the black and white versions on colored cardstock for a fun twist. 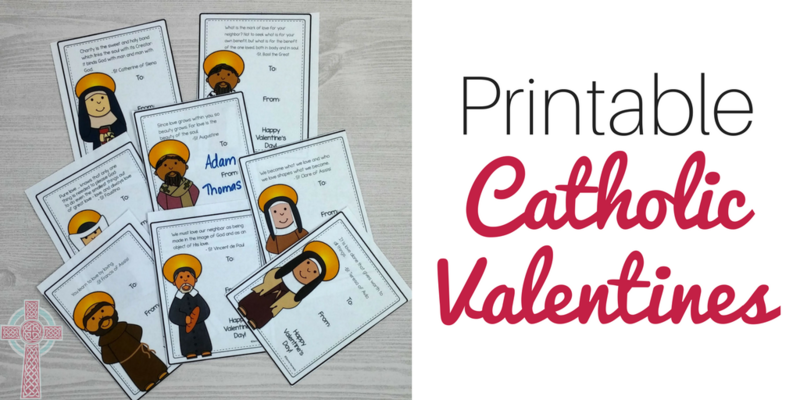 Have you ever made Catholic Valentines? I’d love to hear from you!